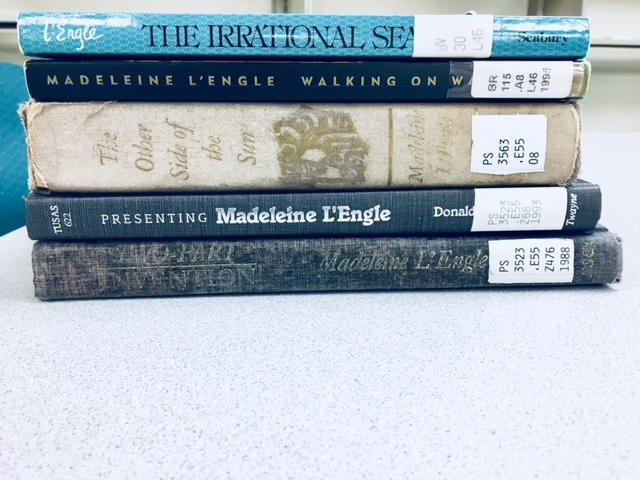 Falvey Memorial Library :: Foto Friday: Madeleine L’Engle turns 100! Foto Friday: Madeleine L’Engle turns 100! Madeleine L’Engle, the beloved American novelist, would have turned 100 this past Thursday (sadly passing away in 2007). Her most successful book, A Wrinkle in Time, was rejected thirty times before it went to print in 1962. That year, L’Engle went on to win the Newbery Medal for that particular novel. L’Engle was inspired to write the novel after a 10-week cross-country camping trip. She spent the better part of three decades writing young adult novels.